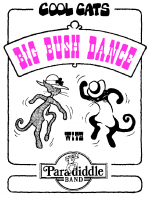 A collection of Bush Dances performed by Paradiddle Band. Dances suitable for middle to upper primary school students. 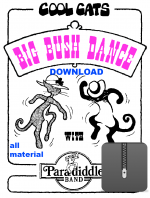 This excellent resource includes easy to read instructions for all 12 bush dances, and 12 songs which are called to allow students to keep up with ease. Also included is a video of each dance. This resource is available for immediate download or as a book and CD set!